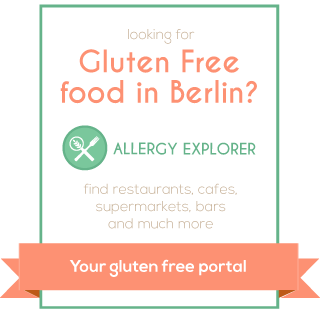 I do not make it down to Neukölln often enough these days, partially due to my laziness but also due to the fact that there are so many good gluten free places around Berlin. There are just so many options that do not require 40 minutes of traveling. That being said, the enticement of something new, and the nearby excellent Tempelhof former airport/Park, was enough to drag myself down to Erste Sahne OTIVM (I’m not sure why they write the last part in caps, but I feel like I should write it so too). 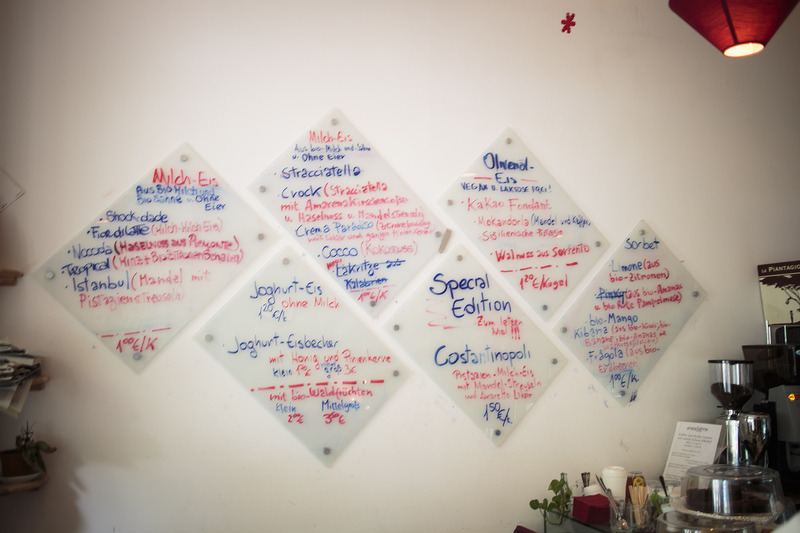 The first thing to greet you when walking in is a rather nice splattering of menus on the wall. Just look at all that eis! All the milk free and egg free options are listed and all was gluten free on my visit (although, I’d definitely recommend double checking with the staff when you visit). It’s all homemade so you can feel a little safer in the fact that they know what they’re talking about. But, I didn’t come here for Ice Cream (well, at least not initially, more on that later). I came here to stuff my face with delicious Italian treats. First things though, just how many options did I have? What kind of treats could I devour? I do love blue berries! But, cherries are where my heart are so I popped for one of these. 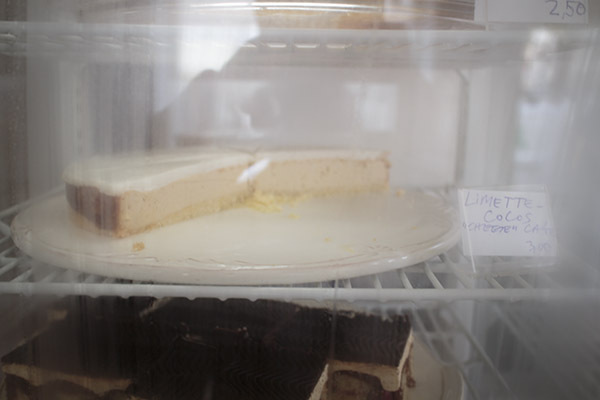 Look at it, just sitting there waiting to be consumed. It was very good indeed. 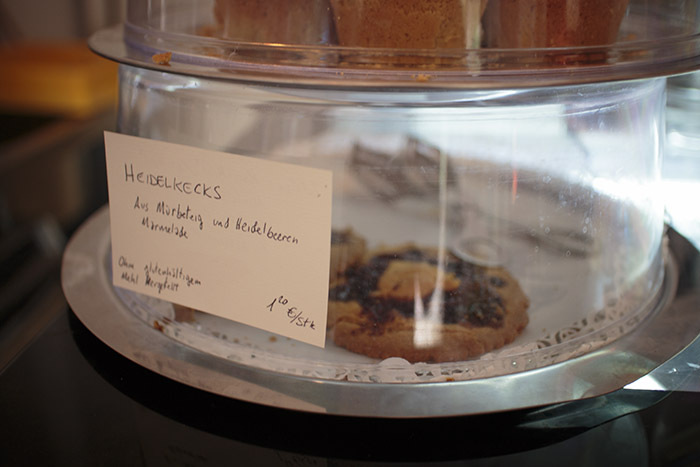 Especially as I’m kind of sick of super sweet gluten free cakes and cookies (I guess there is a downside to having lots of gluten free cafes in Berlin). It was just the right level of sweetness, as in, more of a 60% dark chocolate than a milk chocolate. 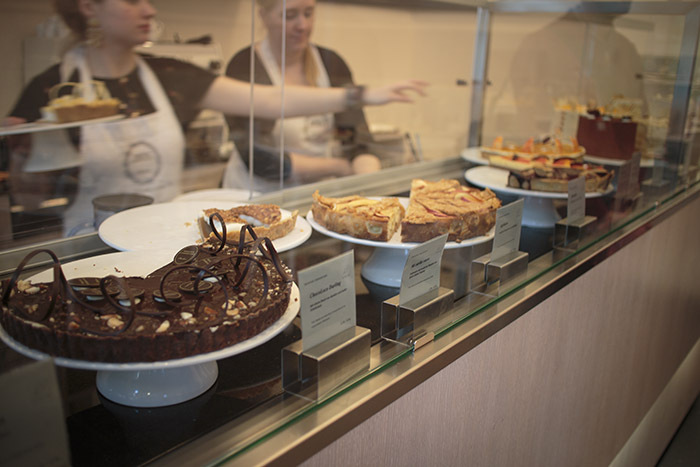 But, they do also have a rather delicious looking display of cakes. I haven’t tried any myself yet (and I’m not exactly sure how many of these options were Gluten Free, possibly 1 or 2) but I have complete faith that they will be equally delicious. 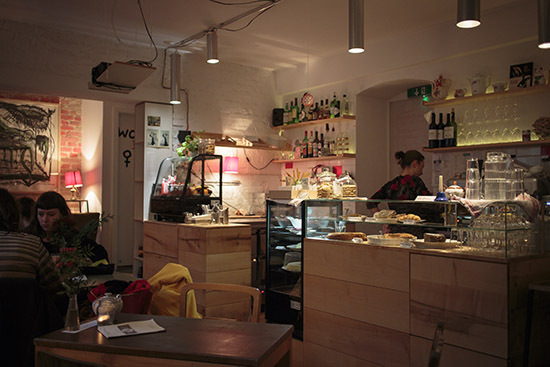 The place itself is a little on the smaller side and there are not many seats, but it is rather lovely. 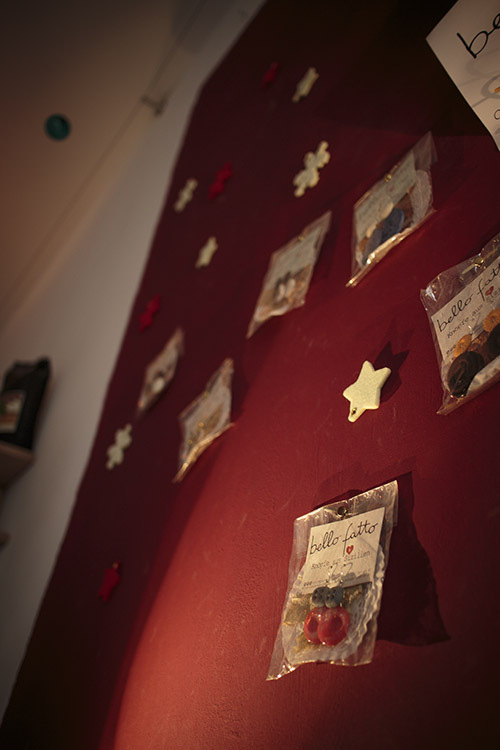 Plus, they usually have a wall of little treats and goodies to buy! You may now be thinking “oh yes, that looks magical, I can’t wait to be there. But wait, you promised me Ice Cream! !”, so yes, they also have Ice Cream. But not just your usual milk laden or soy based ice cream. They have olive oil ice cream. Now, you may first think that olive oil and ice cream do not work together, but you should just flick yourself in the face for such a thought. 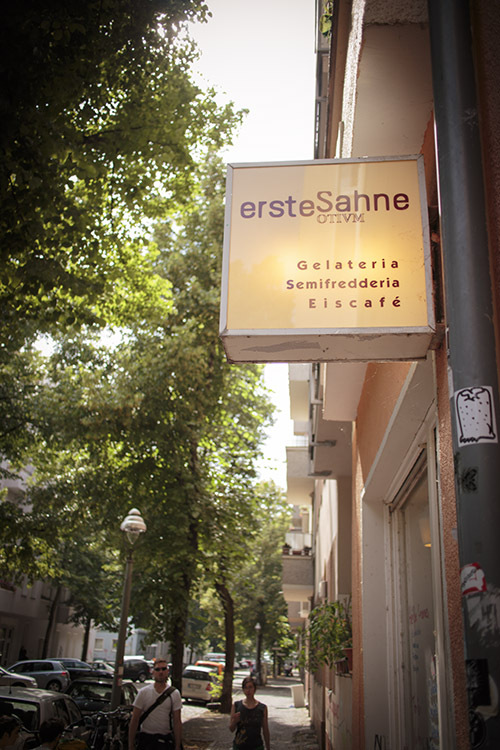 It’s possibly the best ice cream I have had in Berlin (well, the chocolate one I had was) and you should most definitely get down there and give it a try. In conclusion, should you visit? YES. 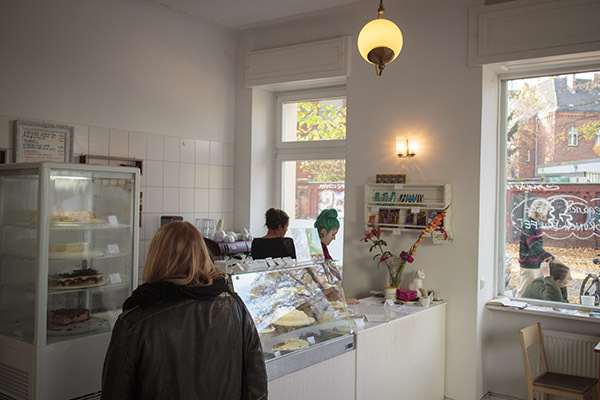 Should you visit multiple times so that you can sample the cakes, cookies, ice cream and all the other gluten free treats? YES, RIGHT NOW! 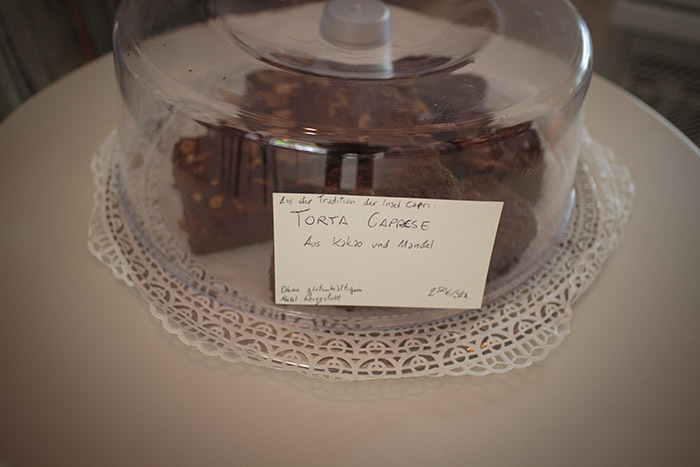 It’s the first time in a while where I’ve visited a gluten free cafe and found something new, interesting and delicious. 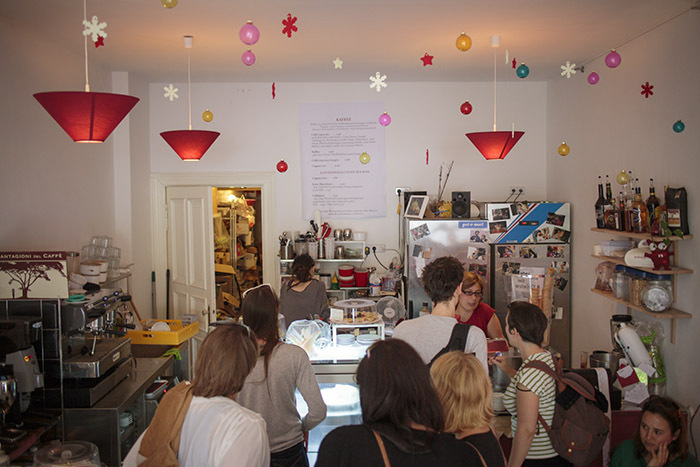 Plus, if it’s moderately nice weather, go and visit the tempelhof park, it’s just around the corner. I am so unbelievably excited this month. Why you may ask? Well, when I am traveling the world and I have a choice between a few cities, I’ll invariably pick the one with the best Gluten Free options. 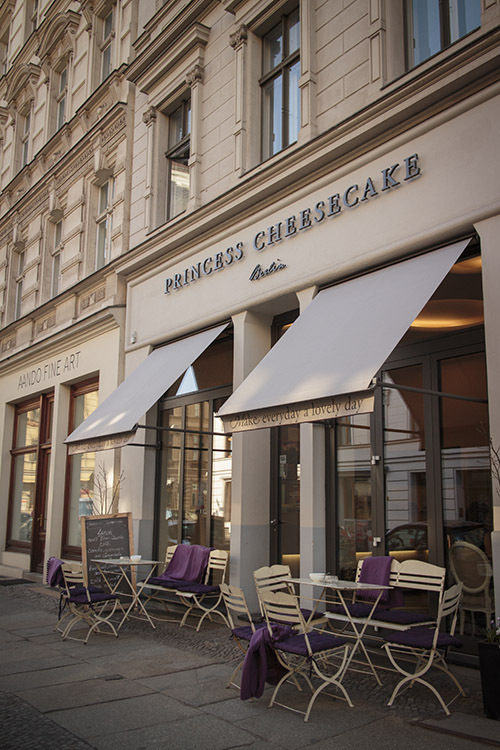 If that city has a dedicated Gluten Free bakery, then I’m already there. 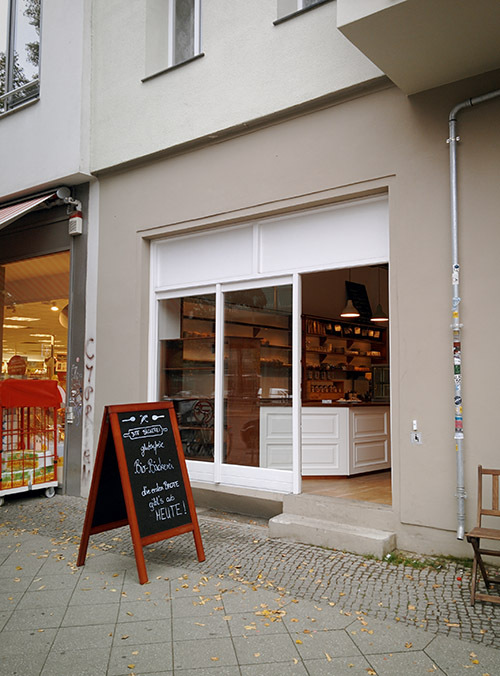 But, get this, we’re going to have our very own Gluten Free bakery here in Berlin! To give you an idea of my level of excitement, this pre-review is being written before they even open. 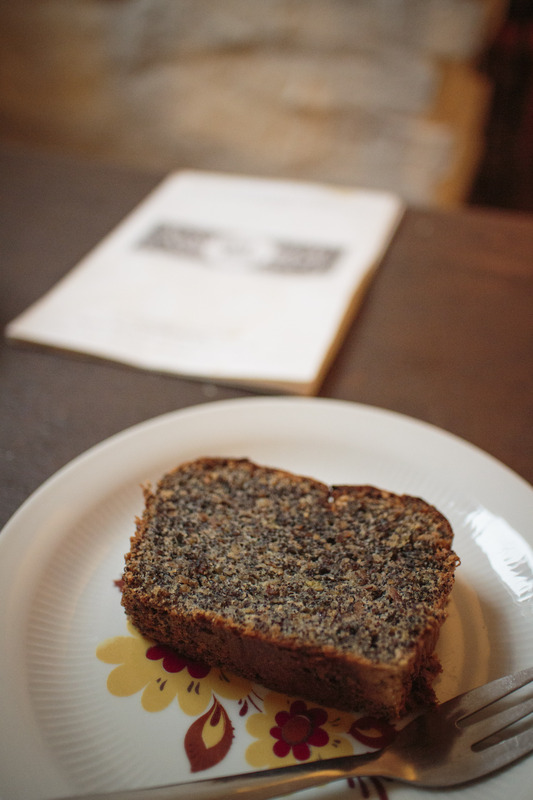 But, it does include a little substance as they have been selling their bread (plus buns and a rather delicious apple cake) as a preview before they open on the 27th September. 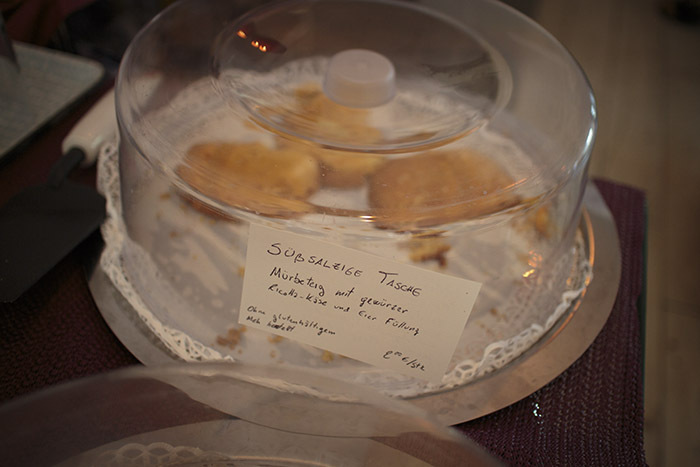 Upon hearing this, I ran over immediately and bought myself a little something (I did try the apple cake, but it obviously did not survive long enough for a photo). Yes, it is good. 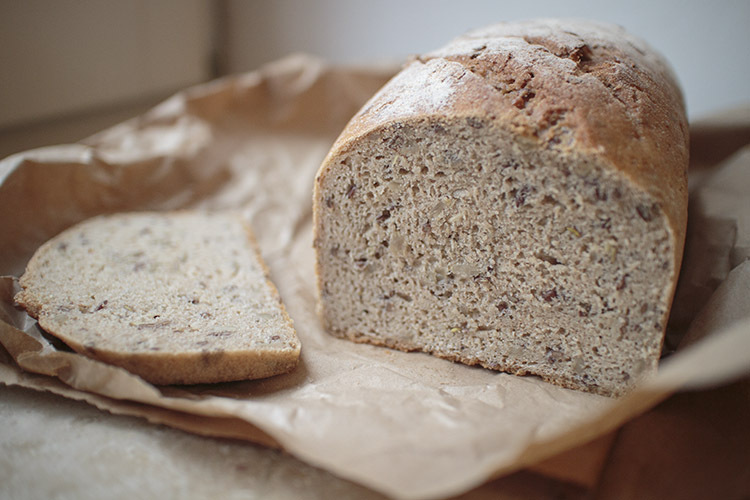 While it’s probably not my absolute favourite Gluten Free loaf I’ve had (my English sensibilities prefer lighter and fluffier bread) it’s pretty high up there. Although, they do have a lighter white loaf which I shall be sampling soon indeed. So, yes, they’re not open yet, but yes, you should definitely go down there right now. Tell them how much you love them for opening a Gluten Free bakery and spend all the money you have right then and there. Plus, attend their opening party on the 27th. 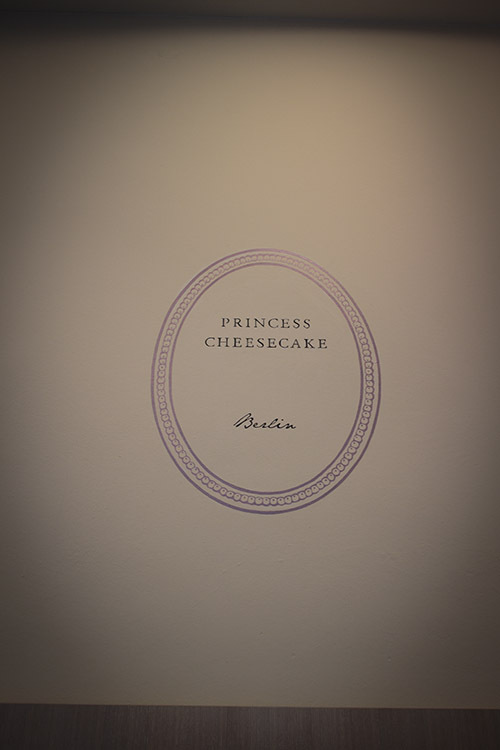 I am a big fan of an establishment with a slightly silly name, maybe it’s just my inner child but I just find it a bit more comforting than your regular trope. 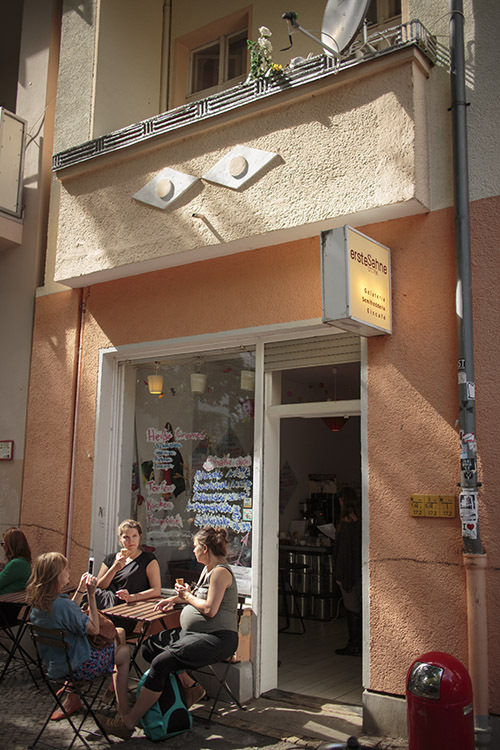 The basis for this, I believe, is that if I was to open a cafe myself, I would give it a silly name, so these are people like me. 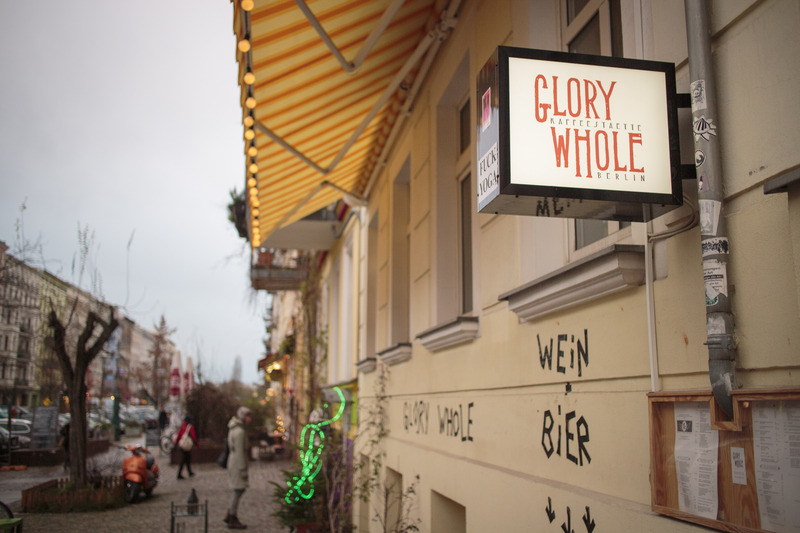 So, one day, I found myself walking down Oderburger Strasse and chuckled when I saw the name Glory Whole, so I immediately walked in. 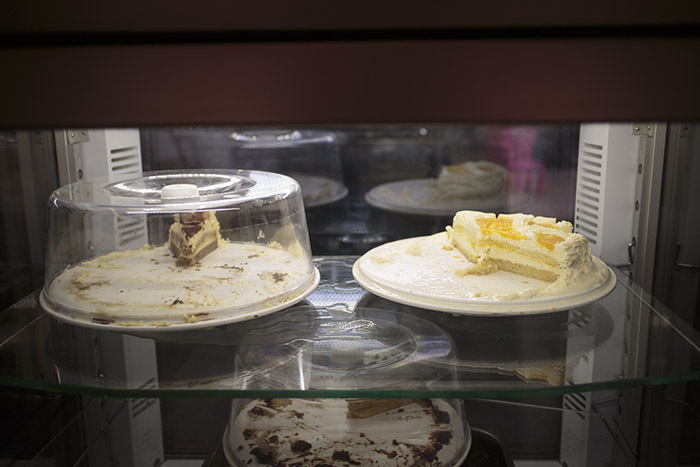 I did my usual “scan through the cake display in the vain hope that something will say gluten free and then accepting the fact that life is not so grand” routine, when, bugger me, if a gluten free cake was just there in front of my eyes. I asked the staff, in slight disbelief, if it was in fact completely gluten free, and they said yes! Well, that was a turn up. 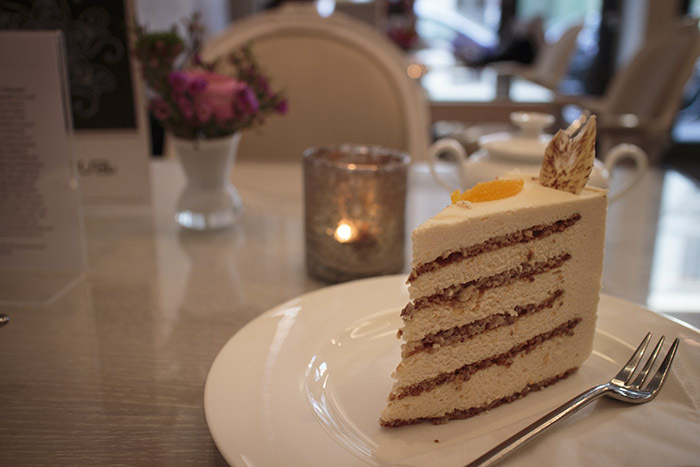 But, before we get down in the gluten free goodness of that cake. A little about the place itself. 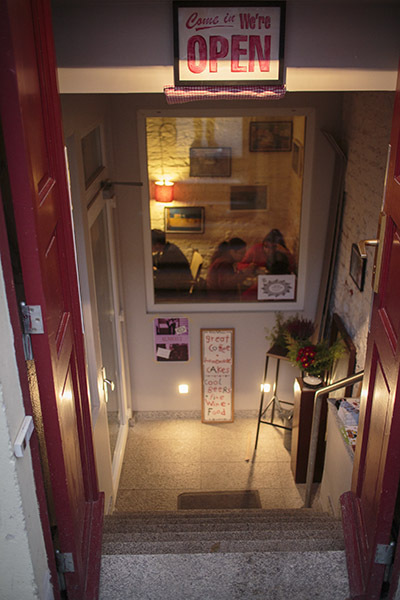 Look at it, it’s a lovely little basement type place, all cosy and warm. Perhaps better for a chilly day inside, but in the summer time there’s the expansive Oderburger Strasse to sit on. There are no gluten free beers, or anything much else gluten free for that matter. One surprise per place is enough I think though. Still, it is definitely a good place to retreat to if there is any rain or such nonsense outside. Look at it. 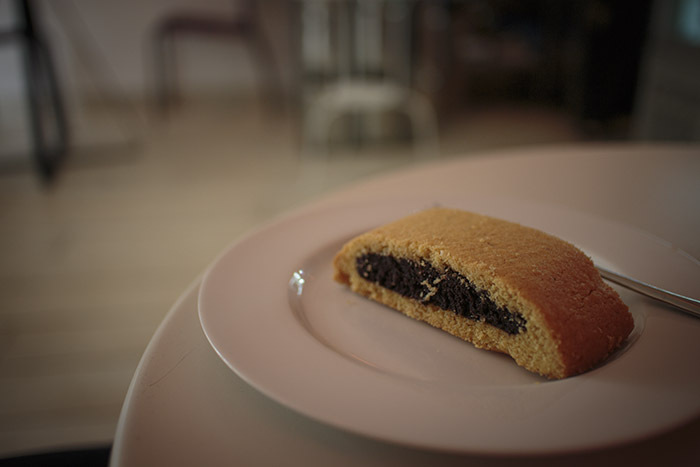 All moist, crumbly and tasty. The texture is nice and unique and the flavour is great. In conclusion, should you try out the glory whole? Yes, I would highly recommend that you do, you’ll enjoy the tasty delights it contains. 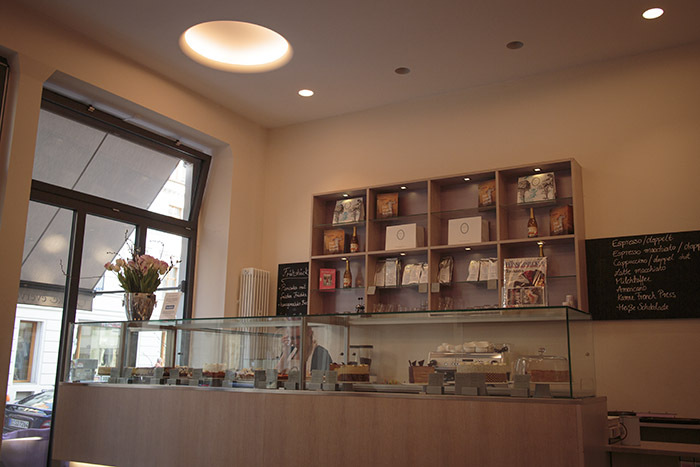 Some time ago (3 years) I reviewed the original Cafe Vux on Richardstraße. 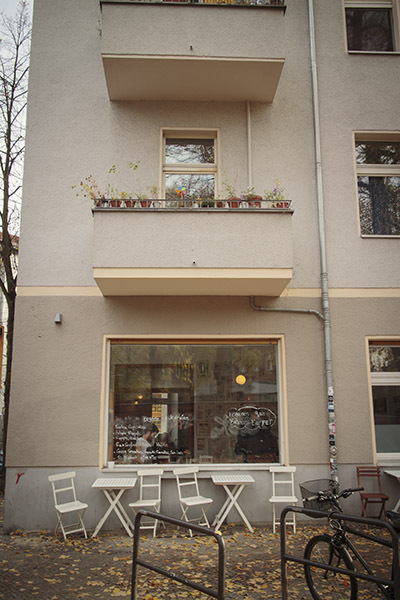 Back in those days I was just simply amazed that there was a cafe in Berlin which stocked gluten free cakes on a permanent basis! 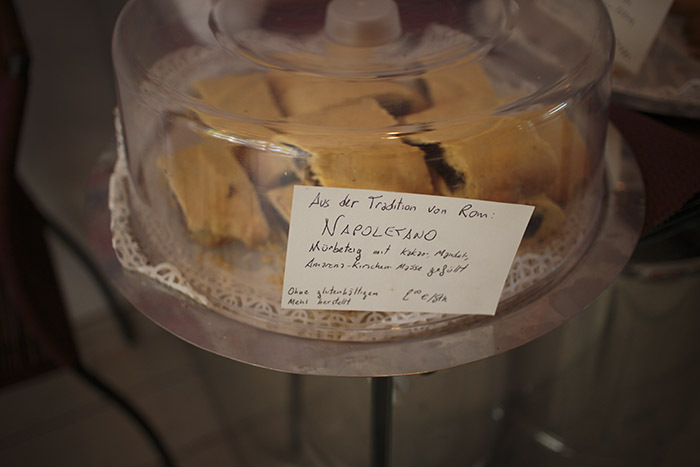 Thankfully the gluten free life in Berlin is not so grim anymore. Due to this though, there have been far more local gluten free cafes to visit and I had not made it down to the new Cafe Vux location (or even known about it for some time). I remedied this not so long ago (well, a few months ago, but who’s counting). 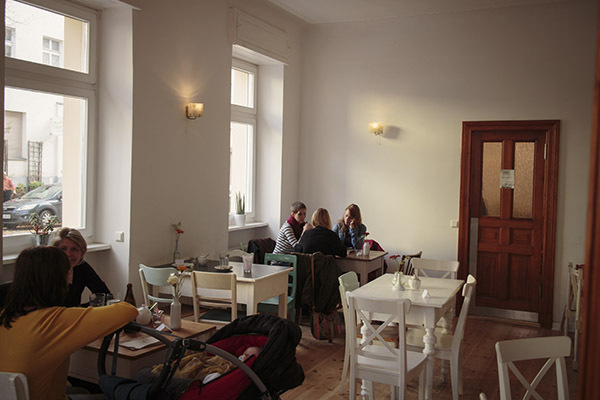 First impressions, the new location on Wipperstraße is not quite as nice as the previous one. I mean, it’s not terrible but the last place had a more homely, smaller quaint charm to it. 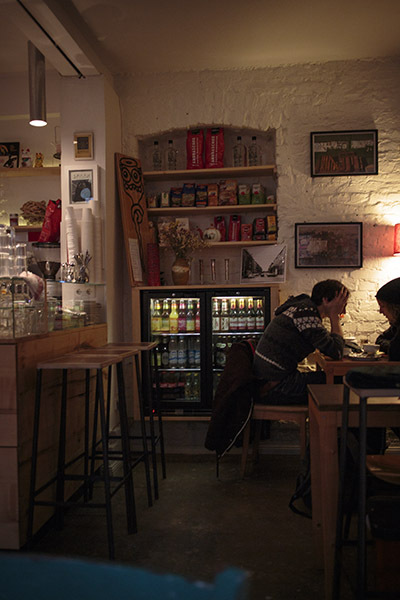 The new place does not feel too different to any other cafe in Berlin. Which is not fault of theirs really, they just had set a higher bar in their last location. 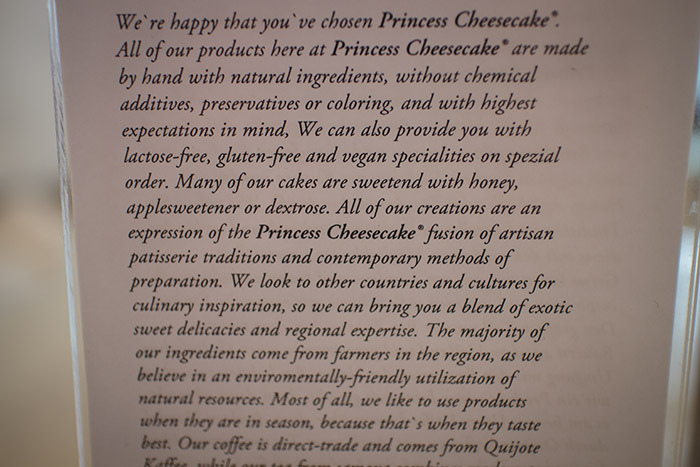 The other downside is that they do not mark which of their cakes are gluten free and which are not. They’re all just mixed in the display case and you have to rely on the member of staff knowing which is which. A very bad practice in my experience unless you are very good at training all of your staff to the same level (most places are not). 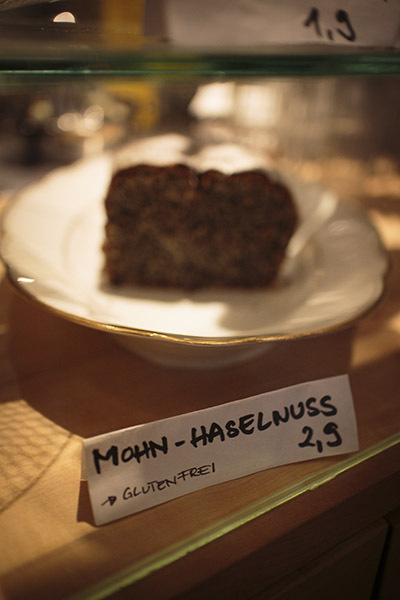 Again, this was ok a few years ago when glutenfrei was a rarity, these days, it’s a little careless. 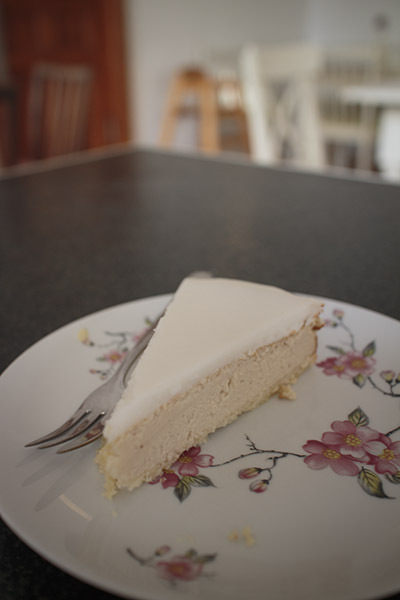 I plumped for this lime and coconut cheesecake, as a combination it sounded rather good. A couple of minutes later and I had this. Turns out I was correct and it was pretty damn good, nice and rich and tasty. 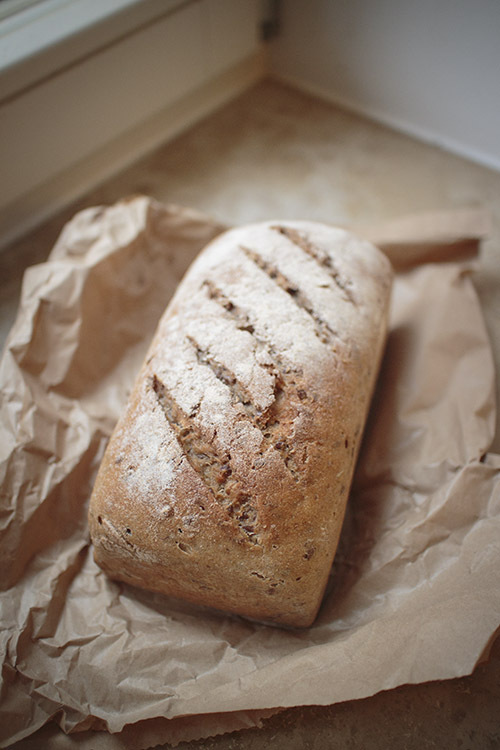 The base was a little thin and soggy, but it is gluten free, so what can you do. In conclusion, if you live nearby or are passing, I’d pop in for a visit. 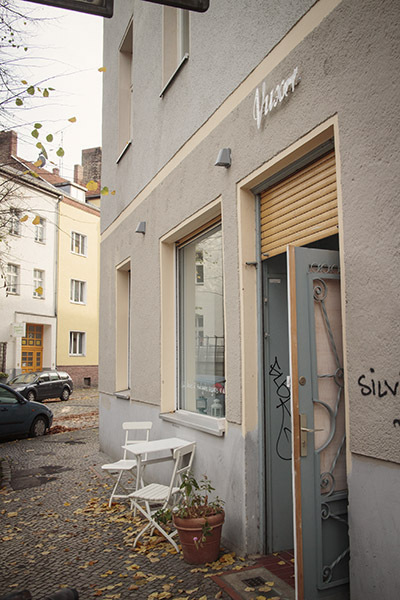 But with the vast wealth of other gluten free cafe’s in Berlin these days and the lack of labelling, there’s nothing here special enough to recommended it as a must.